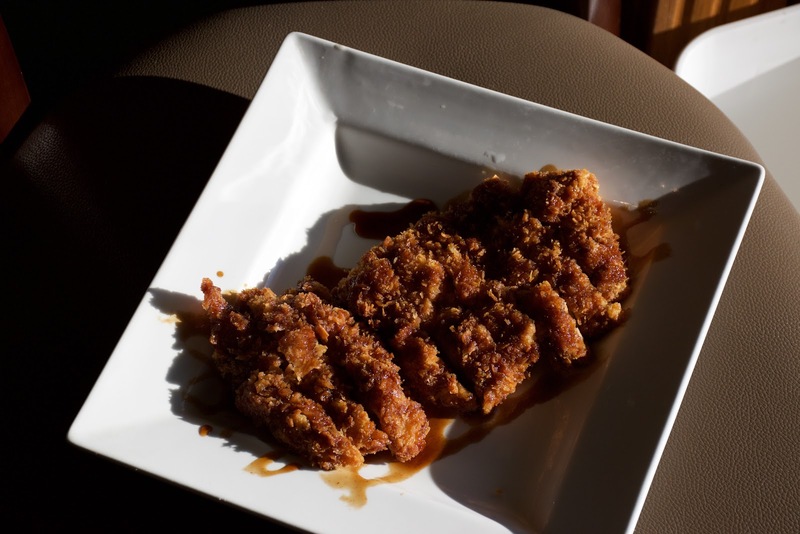 I'm still reminiscing about the chicken katsu I had a Wild Sushi in July. No, it wasn't the best chicken katsu I've ever had in my life. In fact, it was bordering on average. So why the reminisce? Well, it was the last katsu I ate...before I developed my egg allergy! So I can no longer eat katsu. Truly disheartening because I'm a katsu girl. Well, this visit to Wild Sushi was a pleasant surprise. 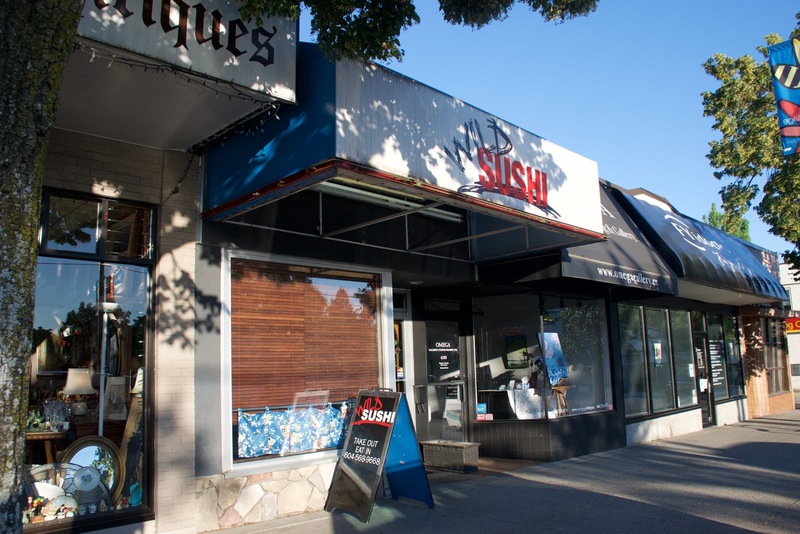 From the outside, this looks like your regular ol' neighbourhood sushi joint. Well it is. But if you look closely, you'll notice that they're named "Wild." Why so you ask? Because they only serve wild fish - no farmed salmon!! And, they pride themselves on their high quality rice. I wasn't expecting much, but being the rice bucket that I am, I'm pleased to say that I was very pleased by their rice. It had this intoxicating aroma to it, that's only found in high quality rice! 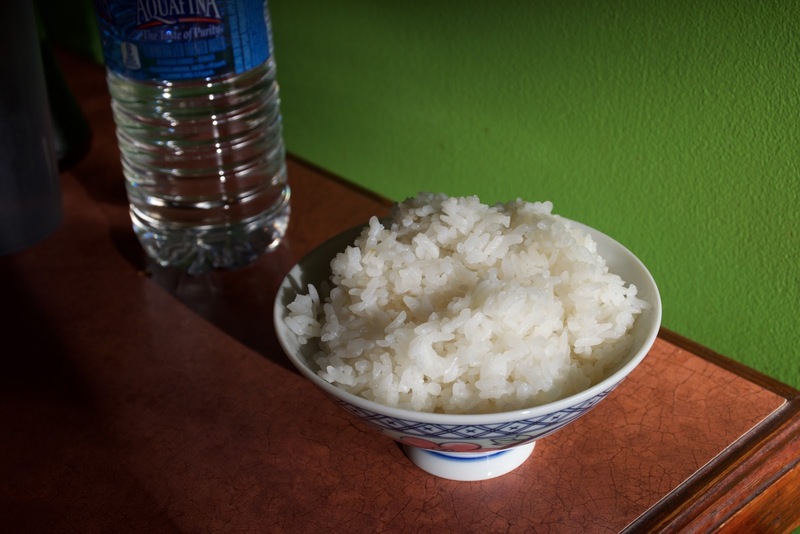 Since I tried the rice on it's own and not in a sushi roll, I could really appreciate the rice in all it's simplicity! Wild Sushi isn't authentic, it's run by a Cantonese family, but as long as the food's good, than no matter! The inside is really simple with a few wooden tables, a dandy little family joint. This place mainly caters toward the Dunbar community, because during my meal a lot of people were getting takeout! The katsu was huge! Overall, it was a decent katsu. It's not going to blow your mind, but it was pretty tasty! The breading was light and fluffy, but the liberal amount of wet sauce made the breading a bit soggy. So eat it fast! Flavours were predictable, salty, moist pork, with a nice tang from the tonkatsu sauce! The katsu itself was quite thick so it made for a pretty filling meal! Yep, I'm giving rice 4.5/5 stars! Best bowl o' rice I've ever had at a midrange Japanese restaurant! Beats out all of the cheapo rice you get at other places! I take my rice seriously. You guys might think I'm a little crazy for taking rice so seriously, but being a rice bucket, this stuff matters!! ;) You fellow rice lovers out there know what I'm talking about right?! The rice was perfectly cooked! It was a fluffy, a bit sticky and super fragrant!! The bowl was a bit small - I really wanted to order a second bowl!